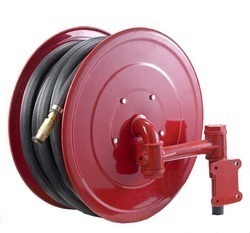 Leading Manufacturer of industrial hose reel drum, fire hose reel drum and hose reel drum from Chennai. We are well reckoned entity offering robust quality Industrial Hose Reel Drum. The circular drums are utilized across the industrial and commercial area for hassle free storing and pulling out of hose reels during fire suppression. Developed using from rust proof material these drums are precisely finished with fire retardant coating to ensure optimum safety. Further, we are utilizing the next generation manufacturing techniques to develop these drums in varied sizes that can be ordered from us at an equitable price. 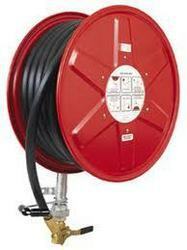 We are well acclaimed as reliable firm offering highly demanded Fire Hose Reel Drum. We have gained specialization in developing industry compliant fire safety systems and the offered drum becomes the most favorable accessory in the segment. Featuring a circular design these drums are useful in convenient storing and pulling out of fire hose in case of emergency. Developed using robust grade material these reel drums are suitable for industrial and commercial buildings and we are providing it in varied sizes at a leading price. 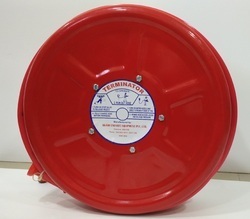 We are known for rendering our services by manufacturing industrial safety products such as Hose Reel Drum. These drums have been made in a circular manner to carry the long hose pipe. They are convenient as they can be pulled out without any difficulty. The material that has been used is made from the best quality material. These materials have been procured from leading venders who have dealt in this field for numerous years.